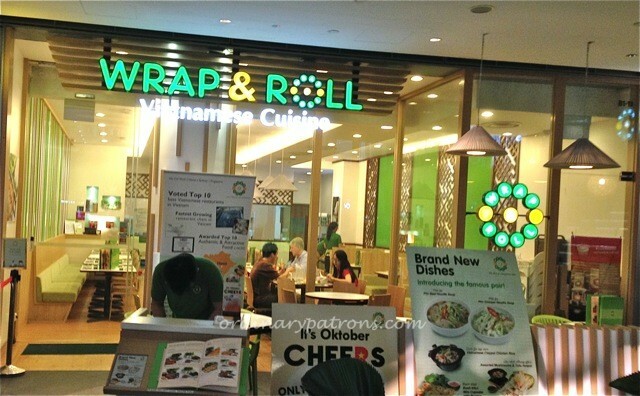 Wrap & Roll is a Vietnamese restaurant at Basement 1 of Star Vista. Its name is inspired by the spring roll like dishes using the Vietnamese rice paper that is featured prominently at this restaurant. The restaurant is simply laid out. The waiting staff were polite and efficient. 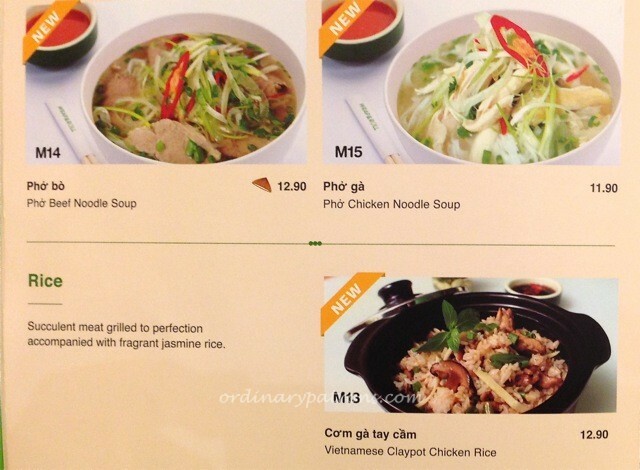 The menu has a good assortment of Vietnamese dishes. The “roll it yourself” section of the menu has ricepaper-based dishes which you can make yousrelf with the ingredients supplied. Interesting, but we were too lazy to do it. We ordered two types of Vietnamese pho and a rice roll starter. The Taste of Hue starter ($9.90) was a plate of two kinds of rolls. The rice paper rolls contained grilled pork and the mustard leaf rolls contained vermicelli and prawn. 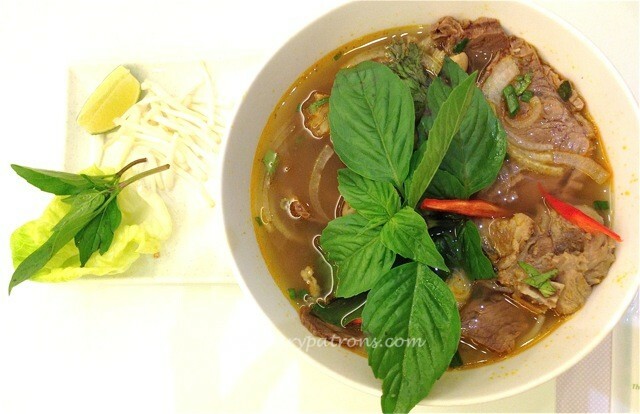 The taste of the dish was refreshing and unmistakably Vietnamese. We suggest you eat the leaf roll first as its delicate taste will be overpowered by the robust taste of the pork if you eat that first. 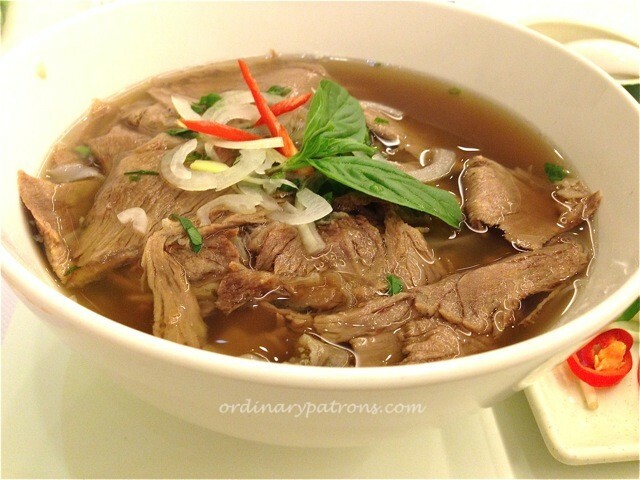 We had the regular beef pho soup ($12.90) and a Hue beef pho soup ($13.90). The latter is a dish apparently created for the Star Vista outlet. We found them to be quite similar, except that the Hue version (bottom photo) had a stronger flavoured soup and more meat. We would be equally happy with either one. Both came with a large portion of pho (rice noodles). All in all this was a clean, pleasant place to get authentic tasting Vietnamese dishes.